Play Chorus, Verse, Chorus Verse. 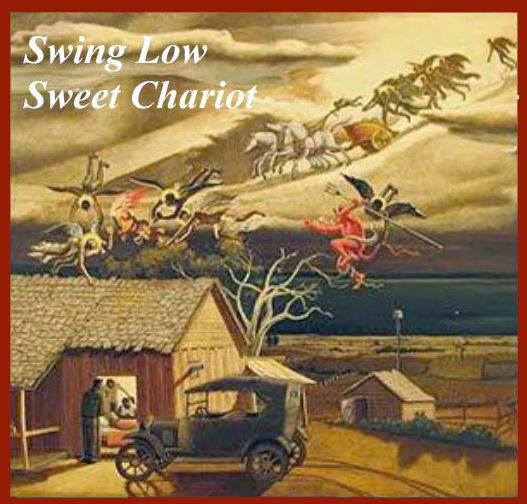 Swing Low, Sweet Char - i - ot, Com - in' for to car - ry me home! I looked o - ver Jor - dan and what did I see, Com - in' for to car - ry me home! A band of an - gels com - in af - ter me, Com - in' for to car - ry me home! I'm some - times up, and I'm some - times down, Com - in' for to car - ry me home! But I know my soul is heav - en - ly bound, Com - in' for to car - ry me home!